Outrigger canoe paddling is an incredible sport with roots in ancient Polynesia. Join a warm and welcoming family of paddlers out on the water of the Carquinez Strait. Once you step inside a 6-man outrigger canoe, you are part of a team where everyone must work together to reach a common goal. It is also a fun way to exercise and become more physically fit. 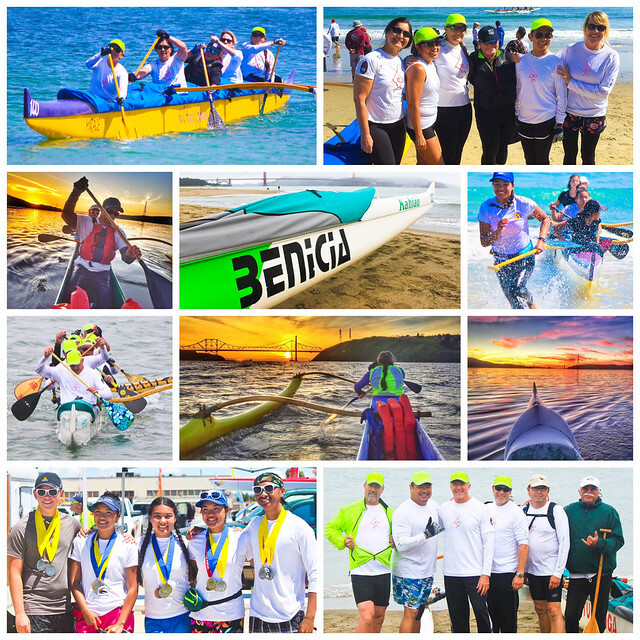 And the breathtaking views of the Carquinez and Benicia Bridges (not to mention the amazing sunsets) are just added bonuses you get by joining the Benicia Outrigger Canoe Club. Come, check us out at our spring Open House! See the below for more information. Paddlers of all abilities and levels of physical fitness are welcome! Even if you have never held a paddle before, this Open House is for you! PERSONAL FLOATATION DEVICE: If you prefer, you may bring your own life vest. We will also have PFDs available for you to borrow. CLOTHING: Although, we do not anticipate flipping over in the water, you should expect to get wet. So, it is advisable to wear swimming trunks or clothing made from athletic, dri-fit-type material. Also, you should wear slippers, sandals with velcro straps, or water socks. You may also want to bring a towel. 1. 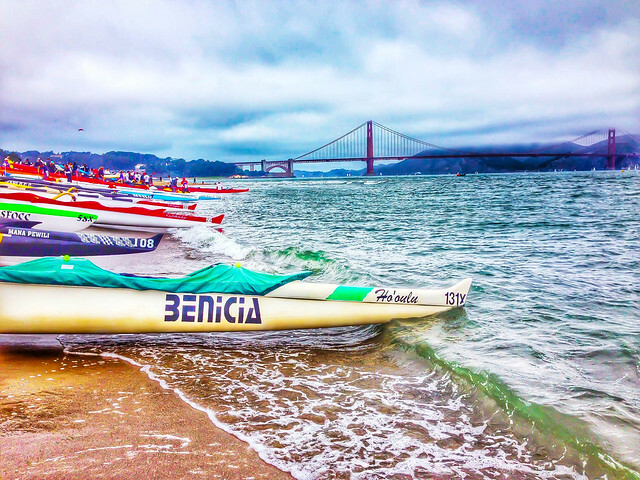 Northern California Outrigger Canoe Association (NCOCA) waiver. Put "Benicia Outrigger Canoe Club" at the top of the NCOCA waiver on the line for "Club:".